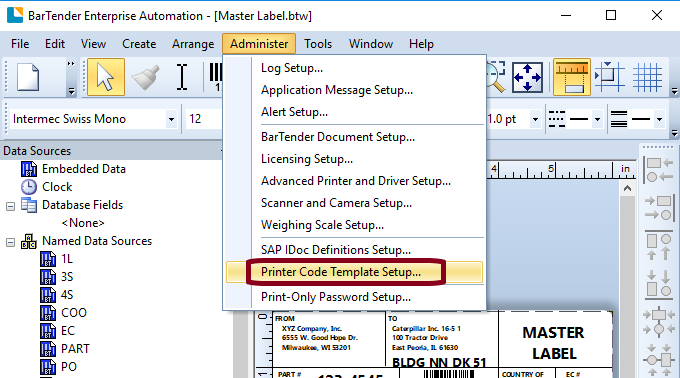 This Instruction Article explains the basic steps to create a BarTender Printer Code Template (PCT) for BarTender Automation and Enterprise Automation. 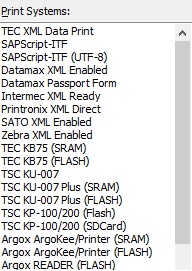 Delimiters used throughout the file to designate where different types of data need to be inserted. 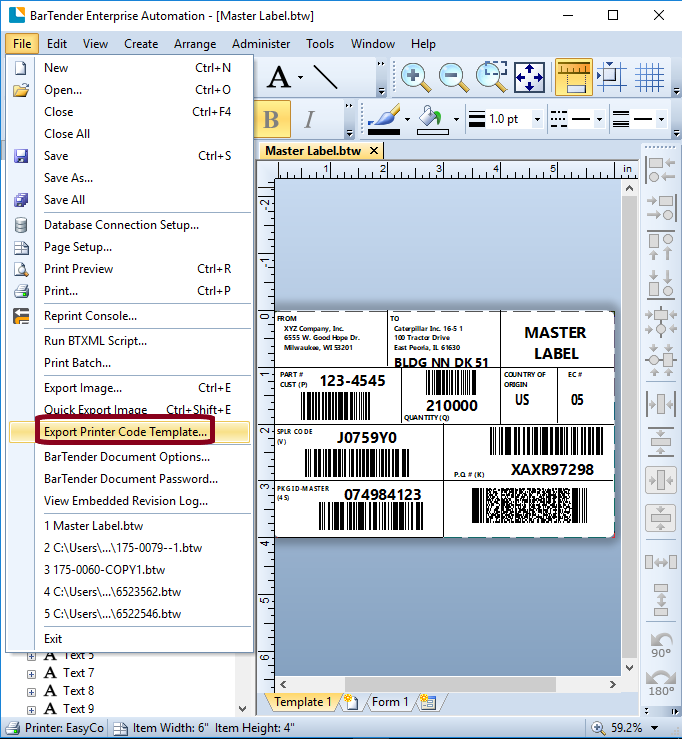 Types include the text or barcode field information, label header and footer information, etc. Printer specific language or printer model requirements. Output file requirements such port information, use of separate ‘format’ and data file’ files, specific destination directory information and/or a specific default file extension. Performance impacting settings such as if Graphics, Objects, Variable Data, and Serialization are allowed. 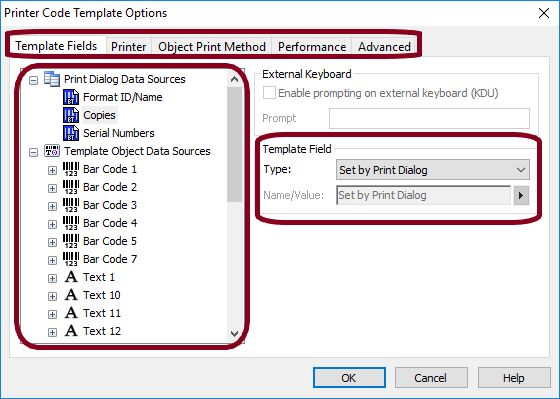 Other General file characteristics such need for file prompting on external keyborads (KDU), dual size printing support, use of multiple design templances, and specific modifiers (i.e. 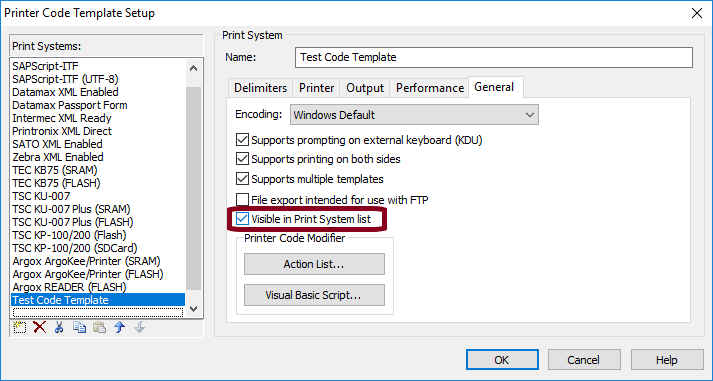 default printer code changes and/or inserted VB script) to the file. BarTender saves these settings with the label template. 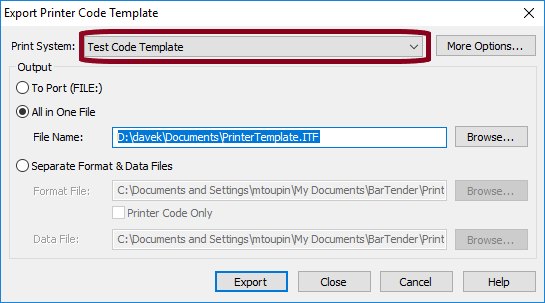 Open the “Export Printer Code Template” (File > Export Printer Code Template). Select the correct PCT setup on the Print System list (with the “Visible in Print System list” checked in the PCT setup screen in step 2 above, your new PCT Setup should appear) and define / confirm Output options. 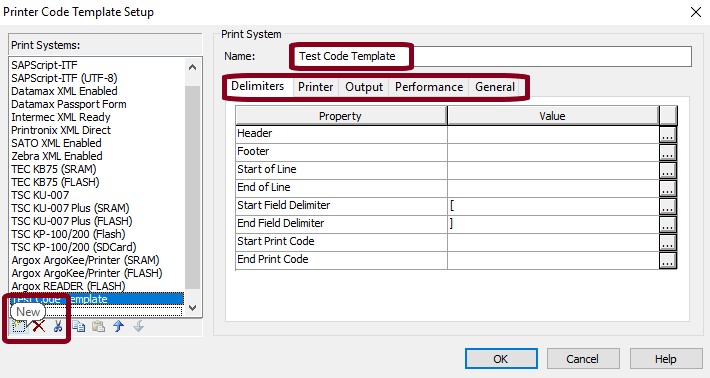 Select the “More Options…” button and go through Printer Code Template options (Template Fields, Printer, Object Print Method, Performance, and Advanced). It is particularly important to look at each Template Field to make sure it is defined correctly in the PCT file. Once you have completed reviewing the settings on the main Export Printer Code Template screen and the Printer Template Options screens, you should be ready to export the PCT file. 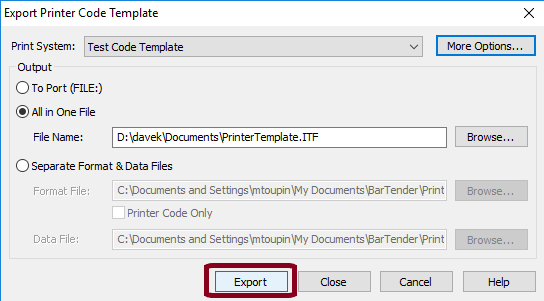 From the main Export Printer Code Template screen, select “Export”. See attached white paper from BarTender on Printer Code Templates.